The Seattle Sounders recently teamed up with a local advertising firm named Wexley School for Girls to create a brilliant marketing campaign that is generating a notable amount of buzz around the team's Official Facebook page. 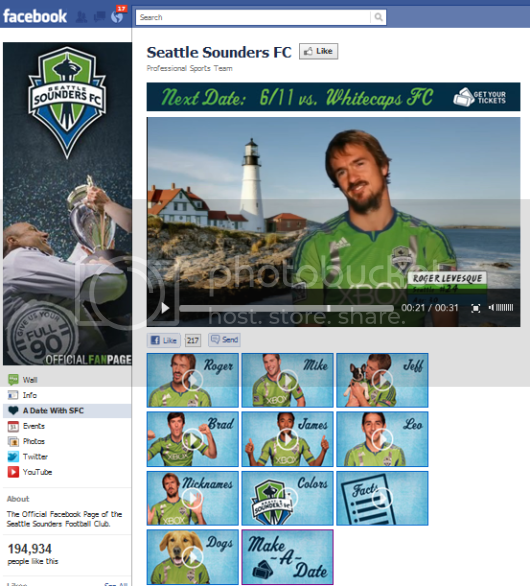 The campaign, entitled "Make a Date with a Sounder", serves as a humorous marketing ploy that introduces fans to the teams' players via mock dating profiles. The campaign features outdoor billboards, TV and radio spots, personal ads in newspapers (under the headline "Sounders Seeking Fans"), video dating profiles on Facebook, and more.